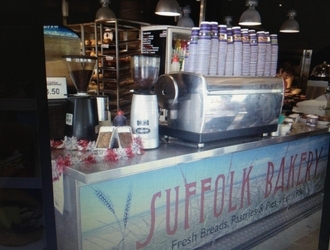 CASUAL BARISTA WANTED AT SUFFOLK BAKERY! 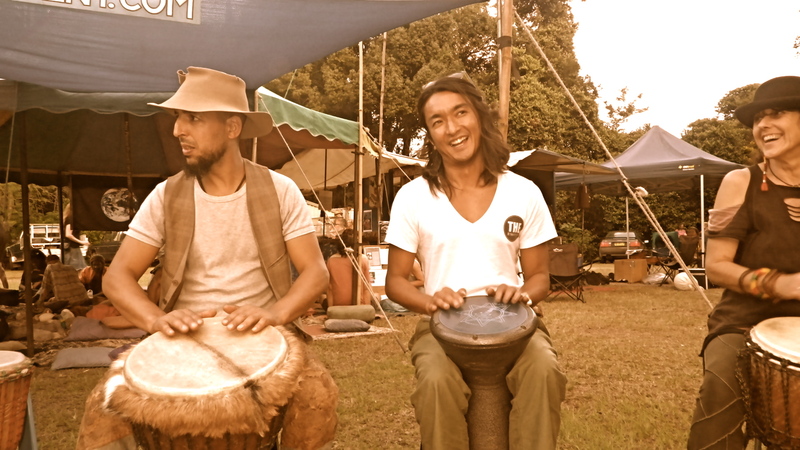 The Byron Bay Blues Festival is happening again over the Easter long weekend. If you enjoy music, festivals and doing something that the locals love then get a ticket for the Blues Festival. You can go from 1-5 days; there are still tickets available online, in the Echo or from the Blues Festival office on Bangalow Road. Which skills are tested in the exam? How often will we do practice tests? Can you use a dictionary in the exam? Do you have a partner in the speaking exam? How many times will you hear the listening tasks? How long do you have for the reading, listening and speaking? Do you mind if I…? How long have you been working at the school? Nearly 7 years!!! What do you like most about working at BBELS? Meeting new students, learning about different cultures and seeing happy faces. 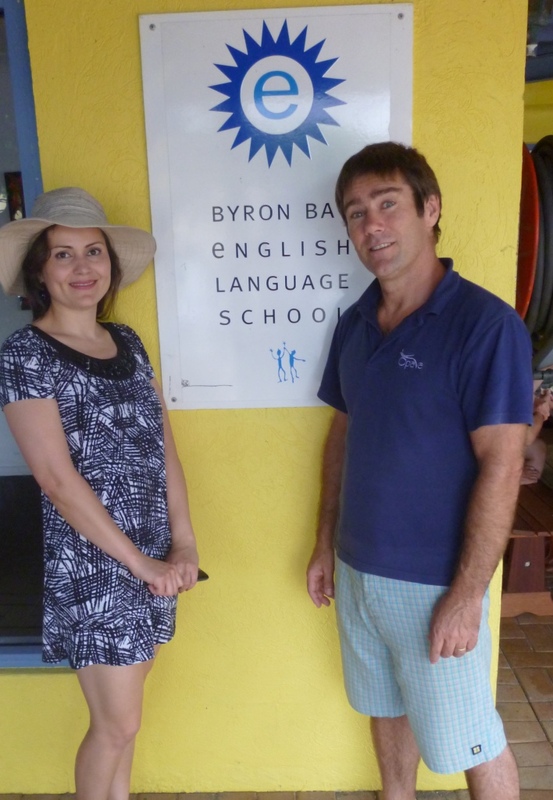 At BBELS everybody should … speak English, study hard & enjoy life in Byron. In Byron Bay everybody should … go to the beach & learn to surf. New students should … try to talk to as many students as possible. What do you do in your free time? Traveling, reading, surfing the internet and gardening. Yosuke is a 37 year old Japanese student at BBELS. He is doing an English + Yoga course for one month and is living in a Student House. One of his hobbies is music – he played at our last school party on Saturday night, last Thursday he played with Michael at The Rails and yesterday at the OPC with Max. He enjoys being in Byron Bay, particularly when he is surfing with his friends. His future plans are definitely more travelling, surfing and music! He likes eating pasta and his favourite band is … well, there are too many!!! Unfortunately he graduates today and we wish him all the best and we hope to see him again, maybe surfing at one of Byron Bay’s awesome beaches! Our latest couple met at school and have sent us photos of their traditional Korean wedding!!! 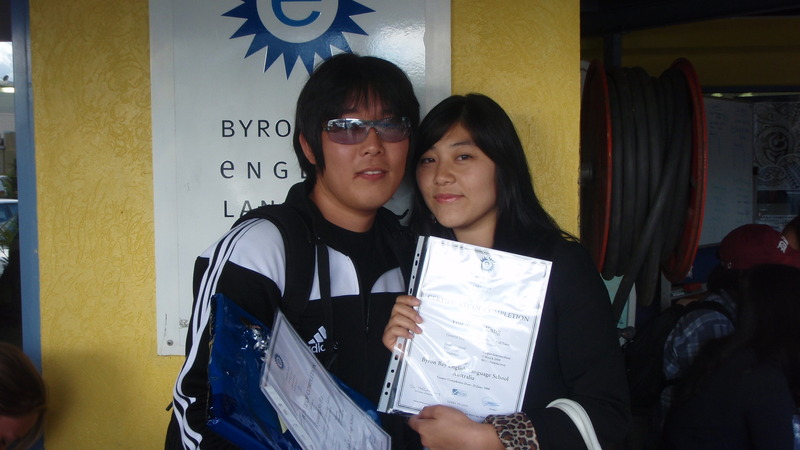 We want to say congratulations and good luck to Su (HA GYOUNGSU) and Loa (KANG YOUJEONG) ). “Looking back 4 years ago, 2008 was one of the most wonderful times in my life. During my studies at BBELS, I improved my English communication, understood other cultures and to be open minded. Yuliya Rahmatullina from Tshkent in Uzbekistan came to Australia as a student before she became a permanent resident. 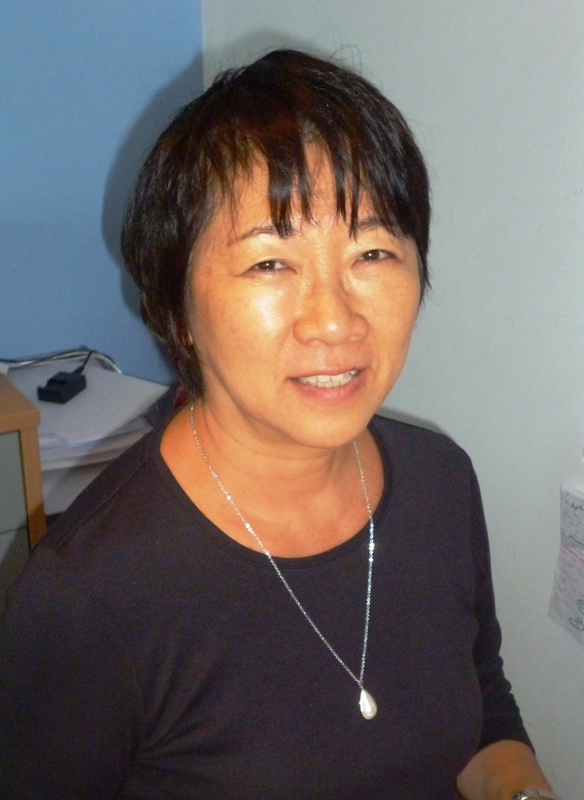 She works in Sydney dealing with Russia Federation students. This is her first visit to Byron Bay – unfortunately she’s pretty unlucky with the weather – but she’s enjoying her stay in our lovely town.